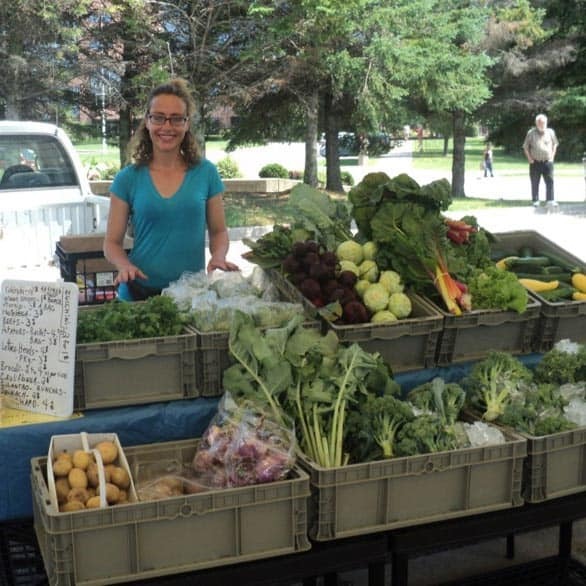 The Food Bank Farm was created in response to an obvious need in the community of Sault Ste. Marie for fresh produce to supplement the food currently provided to individuals and families in need via the food bank system that exists within the city. 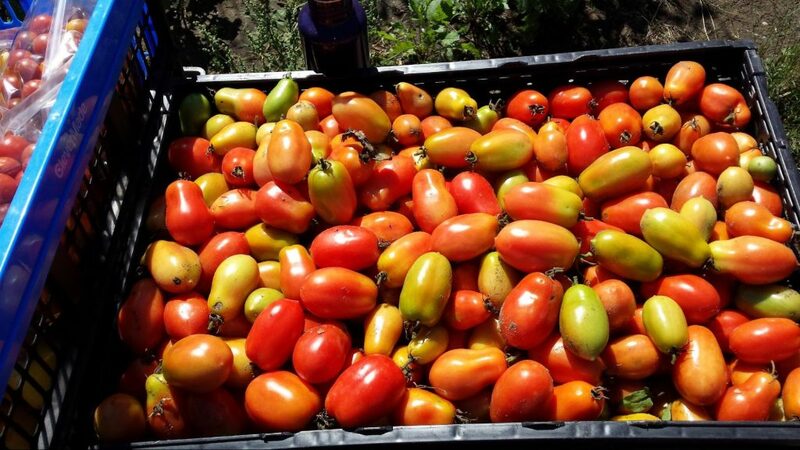 We operate the farm on a not-for-profit basis, and are dedicated to producing the maximum volume of a variety of high quality, nutritious produce items to those in the community who lack the financial resources to obtain food through traditional retail outlets. The farm site is located within the city limits on Maki road, and use of the land, buildings and equipment have been donated by the property owners, Colin and Sharon Templeton. Operation of the farm is led by the operations manager, Isabelle Trottier-Saucier, and Colin Templeton with assistance of volunteers from the community. Charitable donations for the operation of the farm are held in trust, and administered by the Soup Kitchen consistent with their established financial and management procedures. 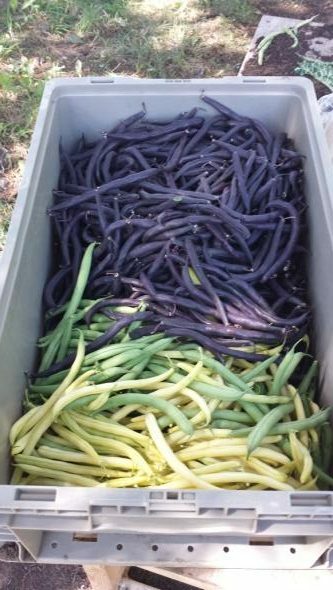 The objective of the Food Bank Farm is to produce high quality vegetables for individuals and families in need. By growing and delivering fresh vegetables we hope to reduce the impact of poverty on food security, health and welfare of individuals and families. We grow, harvest, wash and package the food items, then deliver them to our partner, the Soup Kitchen Community Centre. Used in the Community Kitchen where individuals learn to cook an economical, healthy meal. Teaching transferrable skills to enhance employment options such as: farming, marketing, food handling, preparation and distribution. Our first season was very busy. A cold, wet spring meant a slow start to the year. By mid summer squash, turnip, carrots, and beans were doing well. In the late fall we had unexpectedly warm weather that extended our season two weeks beyond what we would consider normal. 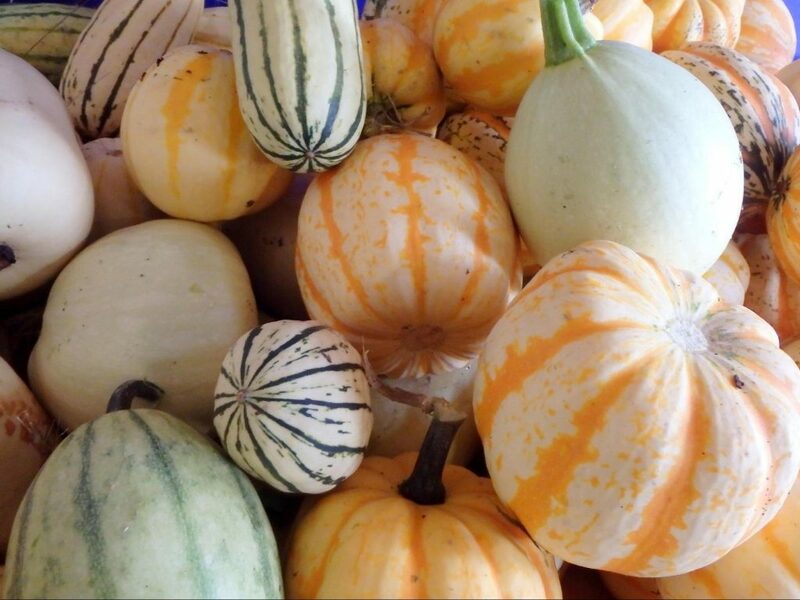 At the height of the season we were delivering fresh produce twice a week to the Soup Kitchen. Cooking classes were being held using our vegetables. When we add it all up, we estimate that we delivered approximately 3,600 kg (8,000 lbs) of food. Not bad for a year with very poor weather. The installation of a greenhouse with a pellet stove helped us get an early start on the 2018 growing season. By the end of May the first crops (i.e., beets, swiss chard, broccoli) had been planted in the field. 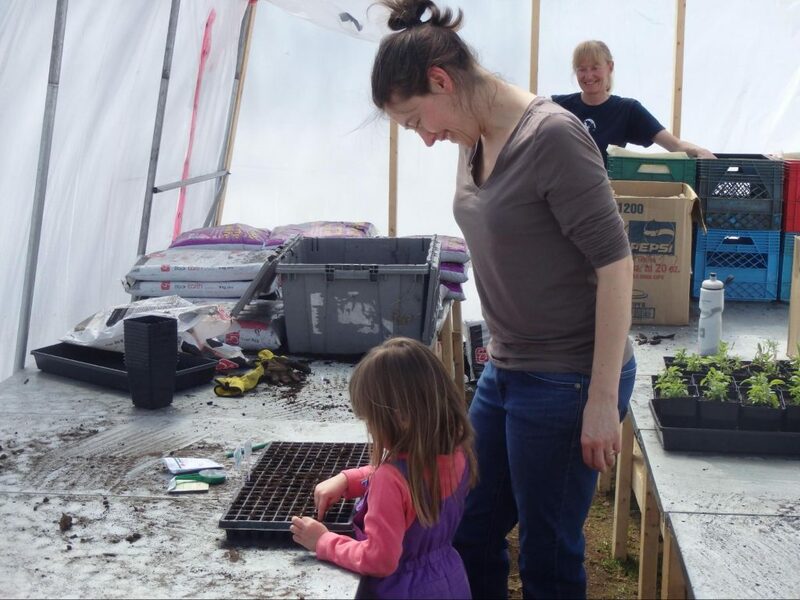 Donations at the Hello Spring Event at New North Greenhouses enabled us to purchased plants for our new pollinator gardens. 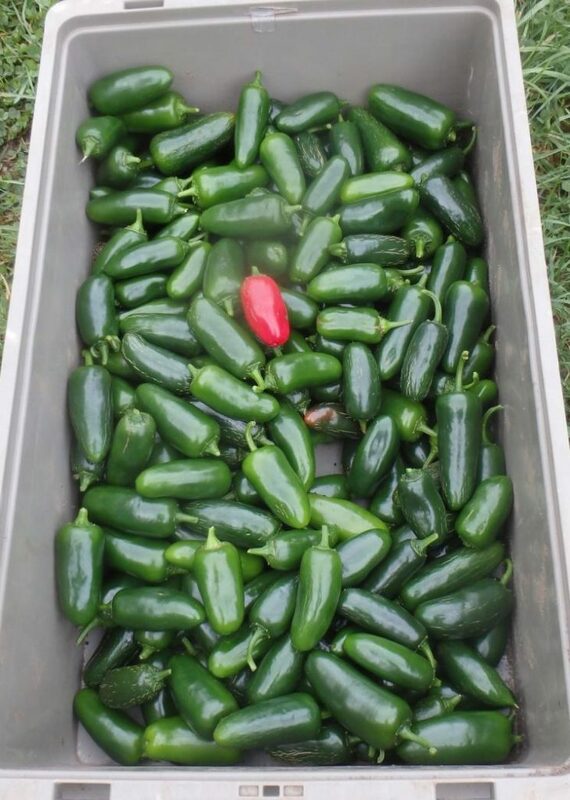 Good growing conditions in the summer and early fall meant that we were delivery up to five days a week. 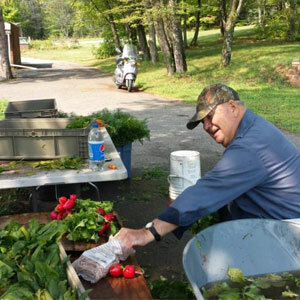 A bountiful cucumber harvest enabled the Soup Kitchen to preserve hundreds of jars of pickles. In total 6,800 kg (15,000 lbs) of food was donated to the Soup Kitchen. 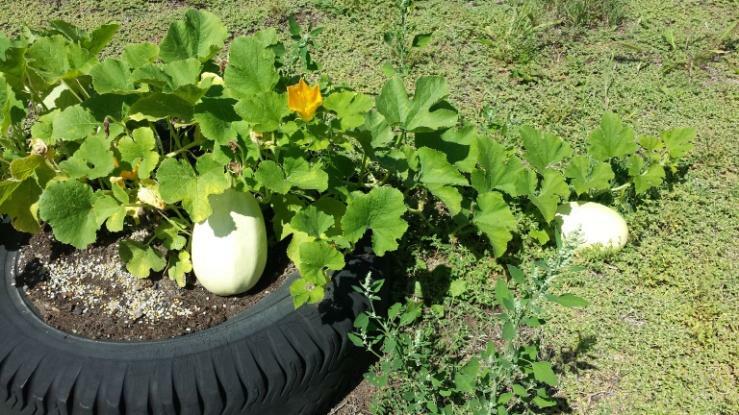 This year was the start of the Grow-a-row initiative, a coordinated community engagement activity where back-yard gardeners grow produce for donation to local food banks. 2018 was also a year of infrastructure development. In addition to the installation of two greenhouses, the barn was renovated, the irrigation system completed and farm implements were purchased through the United Way’s Community Endowment Fund. The Farm was also the recipient of two grants. The TSC Community Agriculture Grant will aid in the purchasing of operational items such as seeds, pots, and soil. The Epicure Foundation Grant Program will help to effectively distribute and preserve food through the development of a market-style outdoor food distribution space that will allow us to operate in inclement weather. We will also be purchasing a mobile refrigeration unit and commercial vacuum packer. 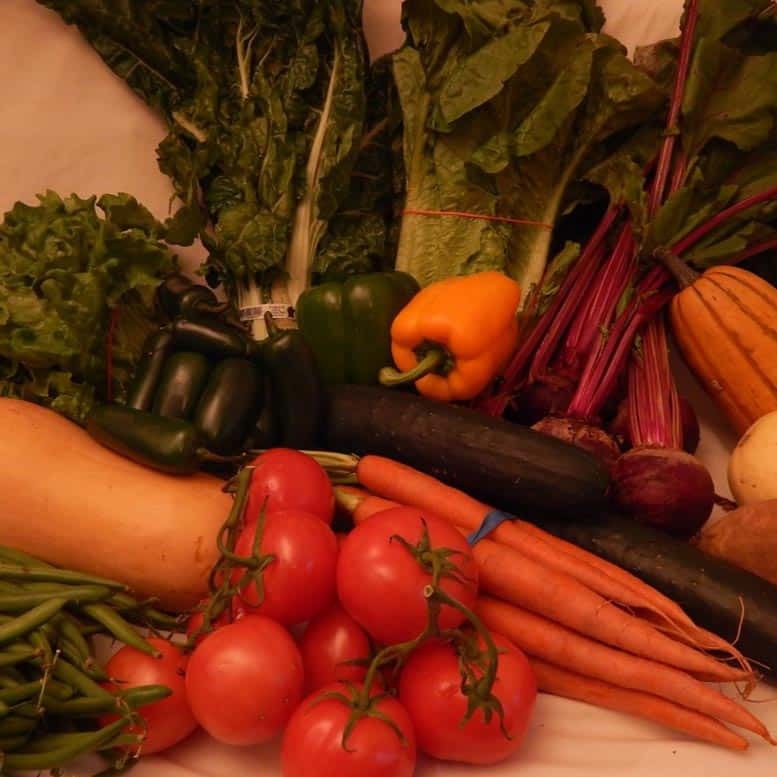 We grow, harvest, wash and package vegetables for delivery to the Soup Kitchen Community Centre, who co-ordinates delivery through their food bank located at 172 James Street, Sault Ste Marie. Our season begins in mid March when the first of the vegetables are started in our greenhouse. 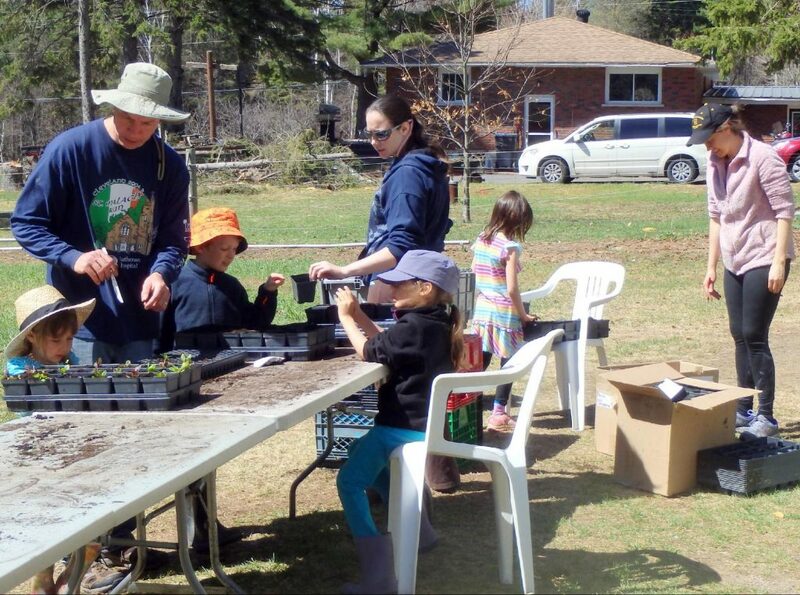 By May, weather permitting, seedlings are planted in the field. Harvesting and delivery to the Soup Kitchen Community Centre starts in June and continues until October or the first heavy frost. Popular crops (i.e., radishes, beets, turnips) are planted repeatedly throughout the season to maximize the amount of food and to ensure that a variety of food is available throughout the growing season. 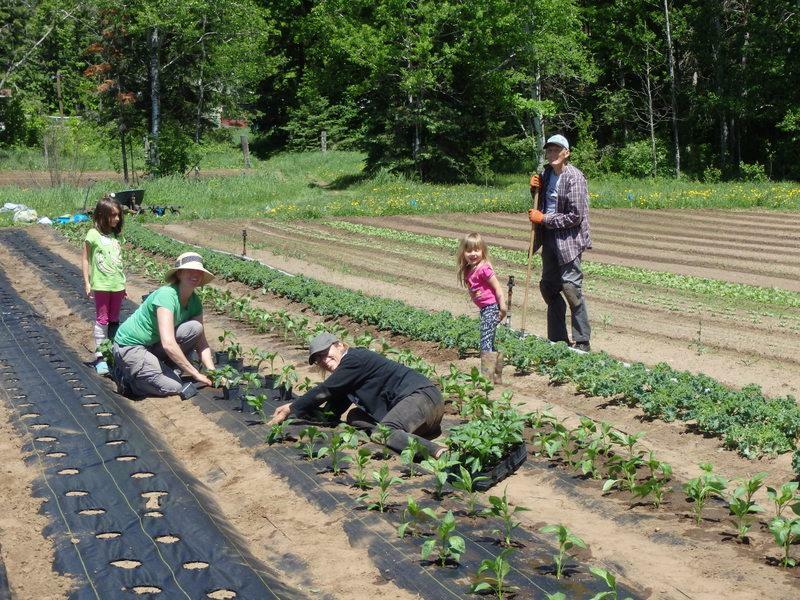 The Food Bank Farm is a project entirely run by volunteers. Our volunteers come with a diverse background and varied interests. They are a mix of experienced gardeners and beginners. We strive to instill core values of hard work, self-sufficiency, enthusiasm and motivation in a cooperative environment in an effort to promote community development. On any given day our volunteers participate in seeding, weeding, planting, harvesting, food handling, preparation and delivery. No matter young or old – our volunteers range in age from 4 to 90 – we have a variety of tasks throughout the year suited to different skill and physical fitness levels. 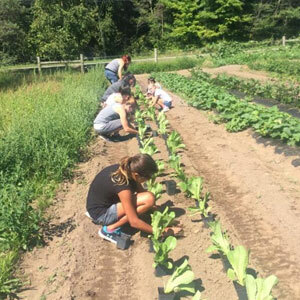 Most of us volunteering at the Farm are involved with the growing and harvesting of produce that is delivered to the Soup Kitchen. Our satisfaction comes from filling the cooler, checking off the list of tasks to be completed, knowing that what is grown will go to individuals and families in need, and getting a little dirt under our nails. We help out for a variety of reasons often not knowing the impact our small role plays in the lives of people in our community. Every once in a while we hear about how our time at the Farm has affected a person or family at the Soup Kitchen. Stories from our clients brighten our days, bring a smile to our faces, maybe a few joyful tears, and a renewed promise to grow and donate as much as we can. The Farm is located at 530 Maki Road in Sault Ste. Marie, Ontario. From Second Line West, turn right on Allen Side Road. At the first intersection turn left on Third Line West. The first road on your right is Maki Road. Proceed north on Maki Road for approximately 1 km. The Farm is on the right.